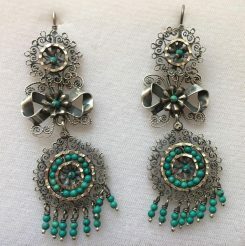 These earrings are different from all the rest of our models. They have a simple flower on top and hang three lovely leaves and a silver drop. 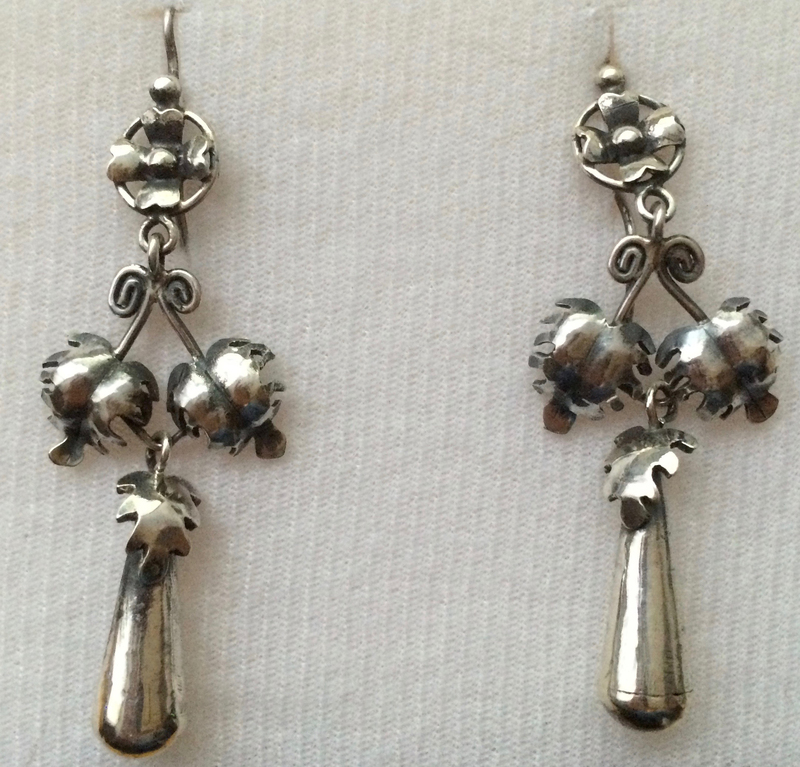 Traditional earrings use nature as their inspiration. 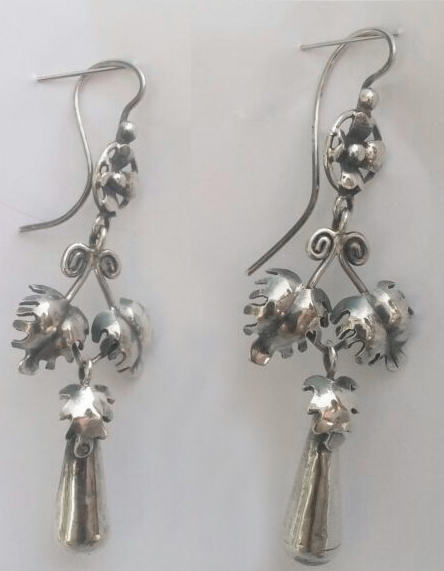 These have a flower with leaves and water. Drops are water. 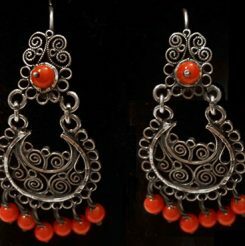 For pierced ears, very comfortable and lightweight. These are medium size but can be done in a different size. 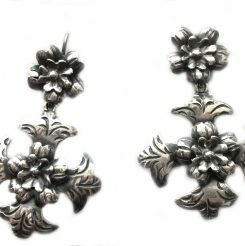 Earrings are gorgeous,made in silver, with oxidised look, are hand made, full of historic tradition with the style of OAXACAN heritage. 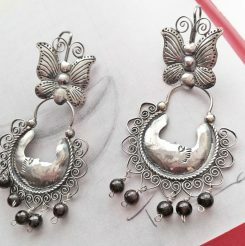 These pair are for pierced ears, although they are quite large, they are comfortable to wear. 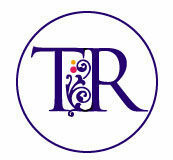 Feel free to ask about other sizes.